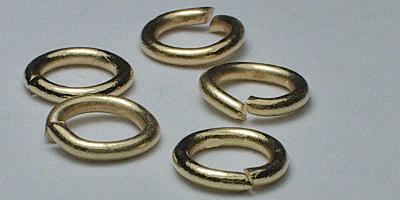 Sold by the 100 pieces. 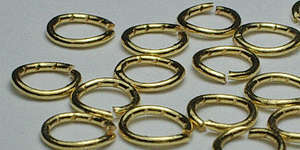 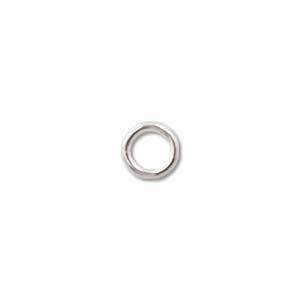 Jump rings are ideal to use to attach findings together, or for working on chain maille projects. 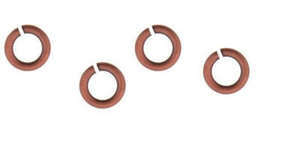 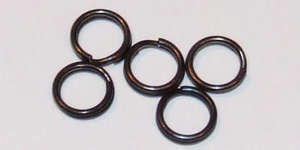 Use split rings for a more secure finish. 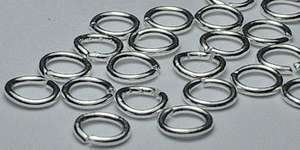 Top Tip - Always try to use a jump ring between the stringing material and the clasp. 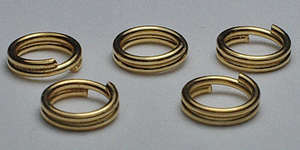 That way, it's much easier to change the clasp or alter the size of the bracelet or necklace by adding an extension chain without having to restring the entire piece of jewellery. 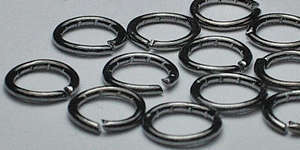 Opening and Closing Jump Rings - To open the jump rings use two pairs of pliers and hold a jump ring with the opening at the top. 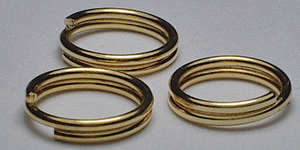 Twist one half of the jump ring towards yourself, whilst holding the other side firmly in place. 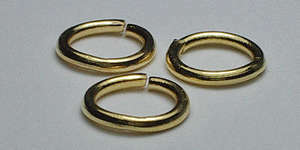 Close the jump ring by holding the same way and twisting it closed in the same manner.